Herer named in honor of world famous global hemp activist and author of the most informative book on hemp and cannabis. 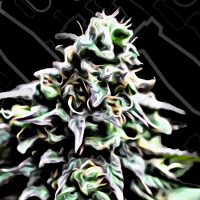 Jack Herer Feminized Marijuana Seeds: Jack Herer named in honor of world famous global hemp activist and author of the most informative book on hemp and cannabis, `The Emperor Wears No Clothes`. Many years of extensive breeding and special selection gave way to this multiple Haze hybrid that will deliver good yields of heavy clustered, medium density buds glistening with juicy, resin coated Haze bracts that have a fresh and peppery, pungent Haze smell mixed with a hint of fruity skunk. Jack Herer has an award-winning flavor of strong peppered Haze spiced with a delicious dash of fruity acridness and the effects have a quick onset with a strong uplifting cerebral high and a giggly edge. 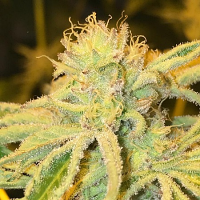 Great flavor and a mellow high that keeps you laughing, very good for not only the occasionally smoker, but also great for a patient looking to alleviate some pain, or for vaporizing Jack Herer will eat nutrients at a high rate when flowering.